The Dazzle Box to my readers & friends . 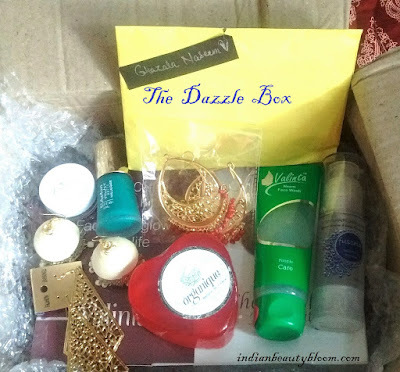 Indian Market is now flooded with Subscription Services , mainly the Beauty Subscription Boxes . We have so many options to choose from . Some are affordable and some are bit expensive and so one needs to make a good decision to choose the right subscription box as per their requirement . Recently I came across a Subscription Box at Instagram , The Dazzle Box . It’s a newly Launched one . I placed my order for the July Box and got my box few days back . In this post I will share what products I got in this box along with some other details . 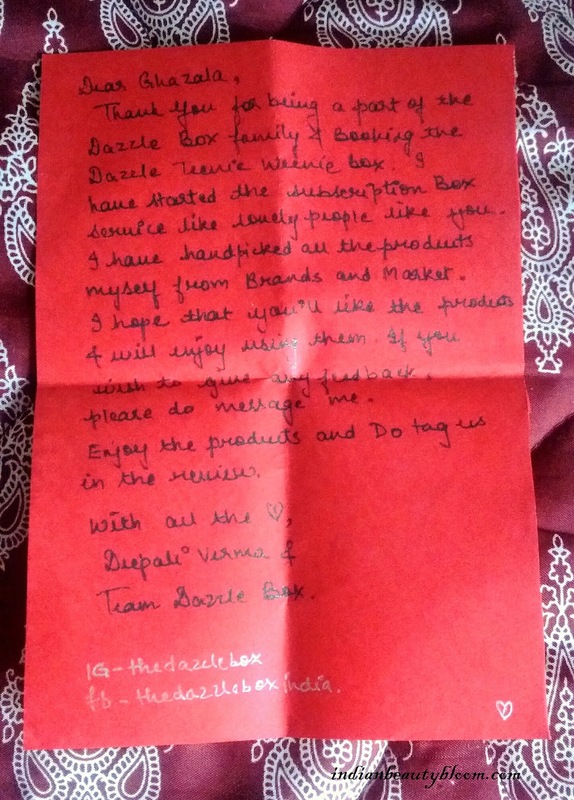 All the products were wrapped in Bubble wrap and the box is a card board one with a label of The Dazzle Box on it . 1. Fushia Anti Hair Loss Serum worth Rs. 1250 . 2. 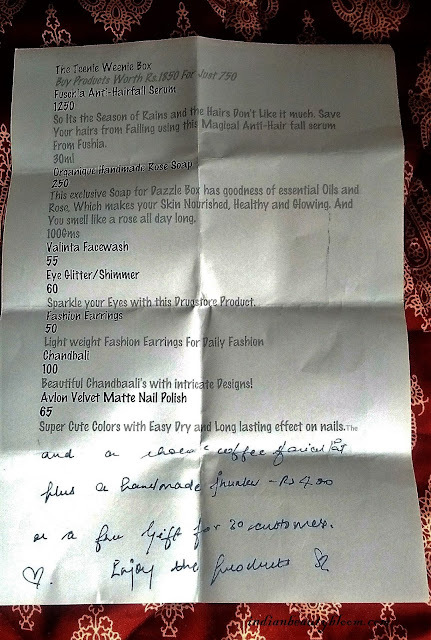 Valinta Neem Face Wash worth Rs 55 . 3. Organique Hand Made Soap worth Rs 250 . 4. Avlon Matte Nail Paint worth Rs 65 . 5. Just Gold Shimmer Glitter worth Rs 60 . 6. Chand Bali worth Rs 100 . 7. Fashion Earrings worth Rs 50 . Price of all these products is Rs 1830 . 1. Chocolate Coffee Facial Kit . 2. Hand Made Jhumka’s . Price of these 2 products is Rs 400 . Apart from this there was a hand written note By Deepali & a Price list with all products & price details . The Box which I have ordered is The Teenie Weenie Box . The price of this Box is Rs 750 and one gets products worth Rs 1800 and more in this box . They have one more box The Splendour Box worth Rs 1450 where in one can get products worth Rs 2600. In these box one can expect some good skin care & beauty products along with some Jewelry and accessories . 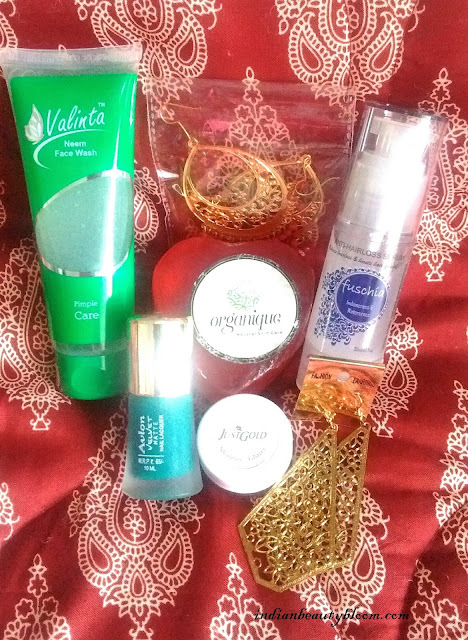 I have ordered few subscription box earlier also and I Must this is a Good One as one gets products from reputed brands at an affordable price . 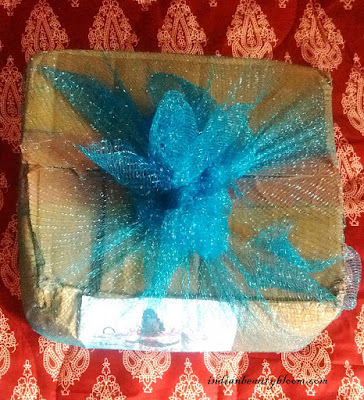 The Star Product in this box is Fushia Serum which is worth Rs 1200 . Other skin care products are also good , The Hand made soap is worth Rs 250 from a good brand . 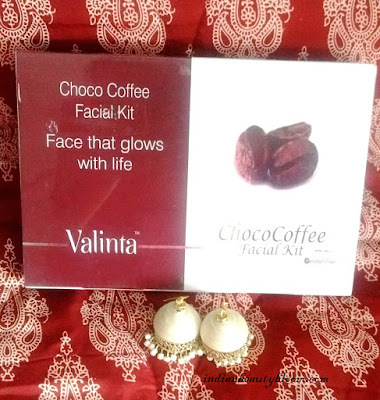 The Facial Kit also seems good , though I haven’t tried this brand Valinta before , after using it can come up with a detailed review . The White Jhumka is too pretty and I really loved it , a Perfect match for all our Ethnic Wear . The other two earrings are Okay . Over all the Box is too good and one gets products much more than the price of box . 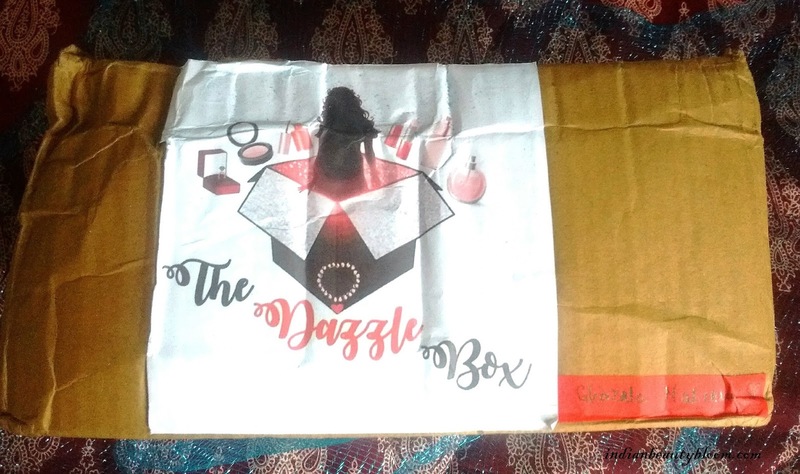 One can place order at Instagram Page of The Dazzle Box via DM and mode of payment is Paytm or bank Transfer . Hope You all enjoyed reading this post and found it useful , Please feel free to leave your comment & feedback .